Grand Dental Center is dedicated to caring for the dental health of your entire family. We concentrate a good portion of our efforts on enhancing the oral health of children from infancy through the teen years. We have the experience and qualifications to care for your child’s teeth, gums, and mouth throughout the various stages of childhood. Children begin to get their baby teeth during the first 6 months of life. By age 6 or 7 years, they start to lose their first set of teeth, which eventually are replaced by secondary, permanent teeth. Without proper dental care, children face possible oral decay and disease that can cause future health issues. Today, early childhood dental caries — an infectious disease — is five times more common in children than asthma and seven times more common than hay fever. We know how to examine and treat children in ways that make them comfortable, using specially designed equipment. Our office is also arranged and decorated with children in mind. 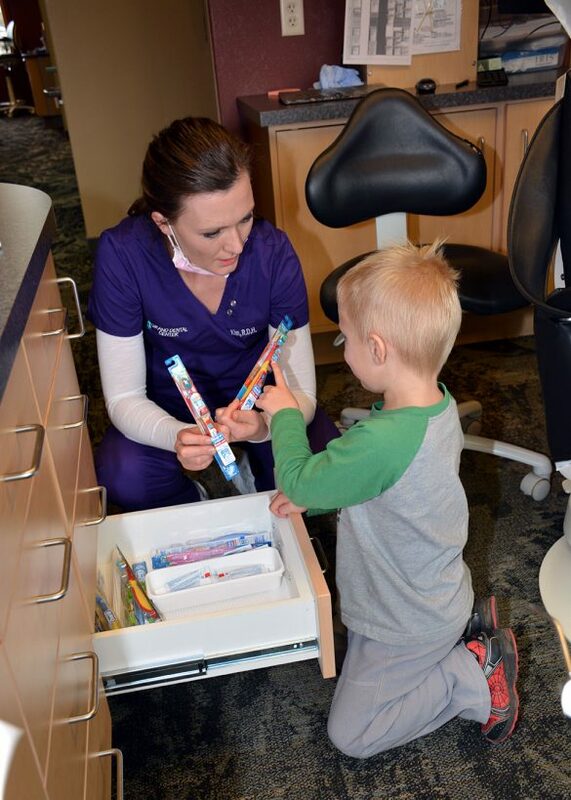 Call Grand Dental Center today at 218-326-0339 to schedule an appointment for your child.